The Tony Romo saga is over. Tony Romo is retiring from the Dallas Cowboys and the NFL, according to several reports, including ESPN's Adam Schefter. According to Schefter, Romo will be released by the Cowboys on Tuesday and Romo will accept a position as a broadcaster for one of the networks that covers the NFL. Several teams were expected to be interested in signing Romo if he had been released by the Cowboys and had chosen to continue playing. The Denver Broncos and Houston Texans were considered the favorites to land Romo. 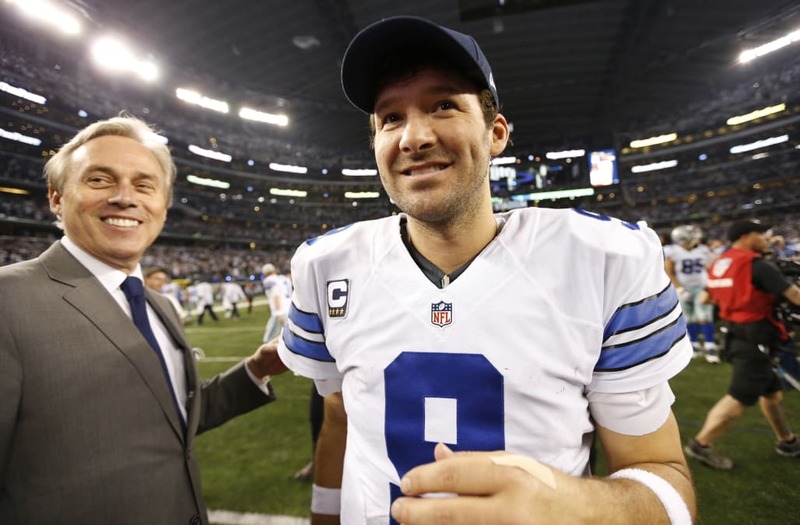 Ian Rapoport of the NFL Network reports that Romo has broadcasting offers from CBS and Fox, "among others." Adam Schefter and Todd Archer of ESPN report that he also has an offer from NBC and that Romo could accept one of the offers as early as Tuesday. According to Schefter, Romo's decision "came down to health." Romo played in just five games total over the last two seasons as he was sidelined with injuries to his back and his collarbone. By releasing Romo, the Cowboys will free up $14.0 million salary cap space. Romo will now count as $10.7 million against the cap this season, down from the projected $24.7 million if had remained on the roster. The Cowboys will also take an $8.9 million cap hit in 2018.